Are you falling short of space for your many computers? Are you looking for an instant solution that doesn’t need you to use various keyboards and mice to control them all? Well, the answer is to connect the computers to a monitor. Sounds easy, right? 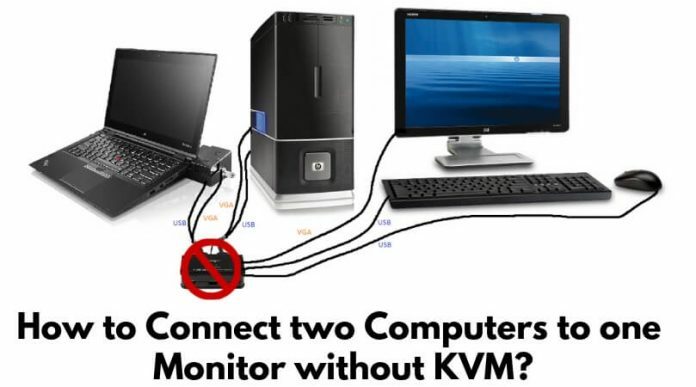 But what if you don’t have a KVM? How to Connect two Computers to one Monitor without KVM? Connecting two computers to one monitor without KVM may seem difficult, but it really isn’t. You can try different methods to facilitate this. If you don’t know how to do this, you have come to the right place. Read on! 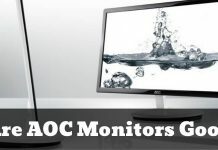 Just about every monitor has various ports such as VGA, DVI, and HDMI. Use these ports to connect your computers. You can use HDMI for the computer you use the most because it offers the best resolution. You can use the others for the other computer. 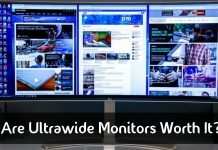 The problem here is that you won’t get the same resolution because monitors don’t usually have 2 HDMI ports for you to connect 2 computers. However, you should make do with this solution because it is the easiest one out there. Note: You could try using an adaptor if you are adamant about the high resolution on all your screen. Since you don’t have the hardware and aren’t about to buy one soon, why not try a software KVM? 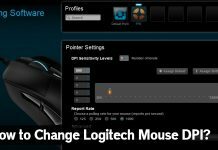 There are quite a few free software programs that you can try to control different computers with the same mouse and keyboard. That will save you from a lot of frustration. Finding a good software program and setting it up may be time-consuming but you must know that it is a better option than using the HDMI, VGA, or DVI ports. This is because you will need to use monitor menus to switch from one machine to the other. It won’t be as easy as just moving the mouse and getting things done. You will have to use the menus all the time, and that will easily get onto your nerves. Both these solutions should work fine for you with a few glitches until you are able to buy a KVM switch. A little initial setup is all that’s needed to get started. Know of any other ways to connect two computers to a monitor without needing KVM switch? We are always looking for ways to optimize our articles, and we would love to hear your thoughts. Don’t hesitate to comment!